I was surprised and did a bubble take when I found the two storied London bus at the West Bypass! 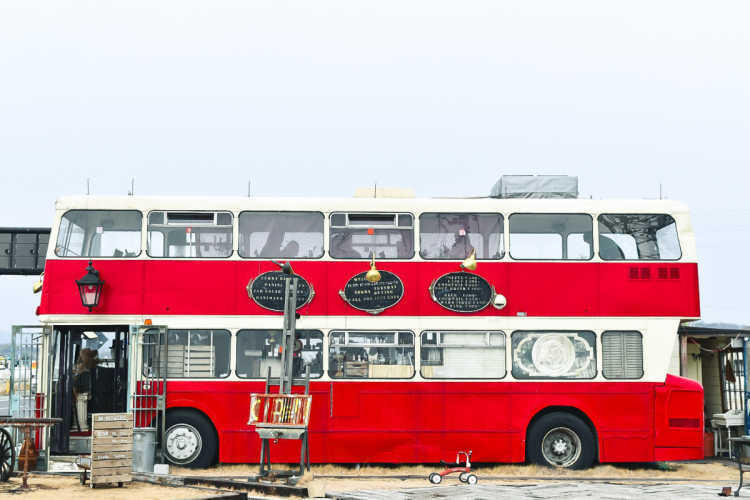 This genuine London bus was shipped and renovated to a cafe. The bus itself and also the interior have an atmosphere of antique, and photogenic!◎The 180th National Road (West Bypass). 15min by car from Okayama Station. MONTAGUE is a cafe renovated from a two-storied London bus. And you can eat gorgeous and delicious foods that you can't believe they're cooked in a bus. The tableware like Wedgewood, and antique silvers are great choice!◎For lunch, you can eat elaborate foods such as big sandwiches and hot rice casserole. 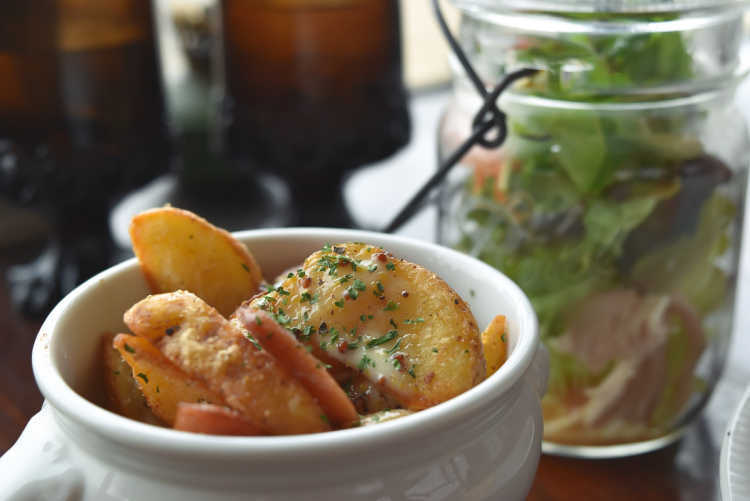 With jar-salad or potato, and drinks.